Control your comfort with easy-breezy voice commands with the Alexa-enabled RolliCool COOL310 Air Conditioner and Heater. The COOL310 is a multi-functional smart portable AC unit that you can pair and control with Amazon Alexa. Home starting to feel like an icebox or a sauna? Regulate the room’s temperature with quick and simple voice commands! Ask Alexa to adjust temperature settings or power your AC unit on or off, all without leaving your couch or bed. Staying connected is not an issue for the RolliCool. Control your home’s comfort from anywhere in the world using your smartphone. Set up heating and cooling schedules, adjust fan direction and speeds. All from the RolliCool mobile app. For pet owners, activate cooling mode from your office or classroom. Your furry pals will stay cool, healthy and relaxed while you’re away. Adjust the comfort of your favorite room, whether you use the COOL310 in the bedroom, game room or study. Need to move to a different room? Roll your air cooler wherever you need it with the included casters and window kit. Moving and setup is quick and hassle-free. 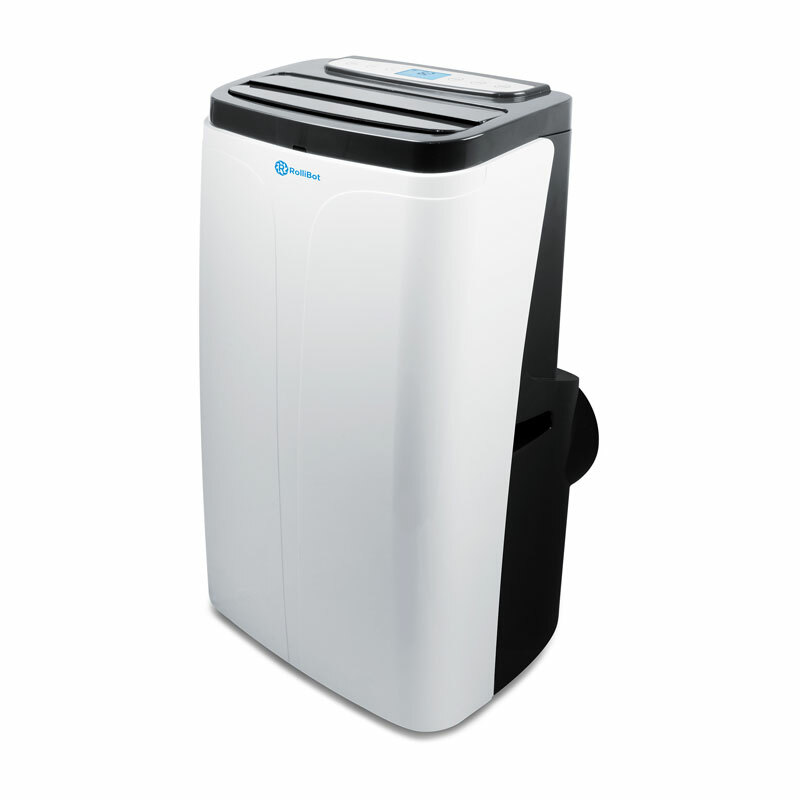 Dehumidify up to 26 liters of moisture from the air and stay comfortably dry for longer. Select sleep mode to settle into your afternoon nap and fall asleep to ambient fan noises. Roll in your cool the smart way with the RolliCool COOL310 Portable AC and Heater. Complete your smart home setup by pairing your unit with Amazon Alexa. After pairing, you can control your home’s climate and comfort with quick, simple voice commands. Connect to Wi-Fi with the RolliCool app and control your air cooler from anywhere in the world! Schedule heating and cooling times, adjust fan directions, and more. Manually control your COOL310 with its built-in display. Or navigate through features with the included remote. 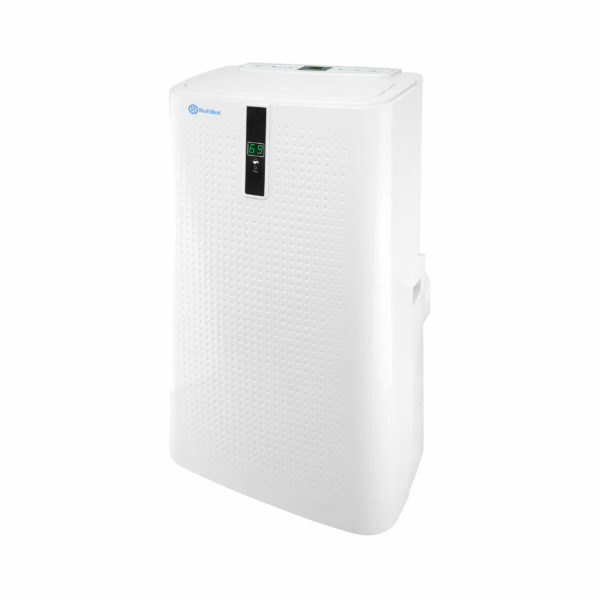 The COOL310 can dehumidify up to 26 liters of moisture per day, keeping your home feeling fresh and clean. When its reservoir is full, the unit powers off to empty its internal reservoir before resuming activity. Improve your home’s air circulation by switching through three different fan speeds and directions. Three pre-installed filters help remove contaminants and odor from your home. Instead of disposable replacements, wash* and reuse the two mesh filters. (Avoid washing the carbon filter.) Pop the filters back in and keep your home fresh and odor-free. *The included carbon filter is not washable. Be green while staying cool! Find the perfect comfort balance with the COOL310’s eco-friendly R410A refrigerant. This AC unit stands tall and sturdy to withstand accidental falls. The included casters allow you to roll the cool into any room you want — without heavy lifting! 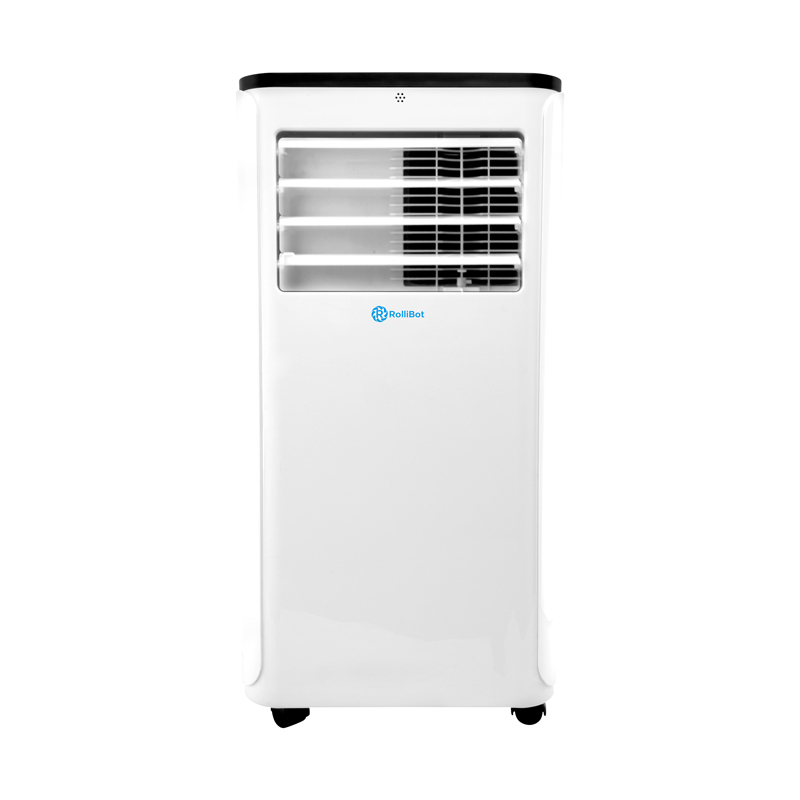 The RolliCool COOL310 air conditioner and heater includes everything you need for a breezy setup: remote control, power cord, drain hose, universal window kit, and more.